On the tube, it looks slightly blackened, but I think it has something to do with the finish of the tube. The tube is glossy and all, and for some reason, it contributes to making the color a bit darker than what it really is. On the arm, you'd literally see red. As in an unbiased, no undertone red. Just red. It's like the red you see in Paint and Photoshop-- red in its purest form. 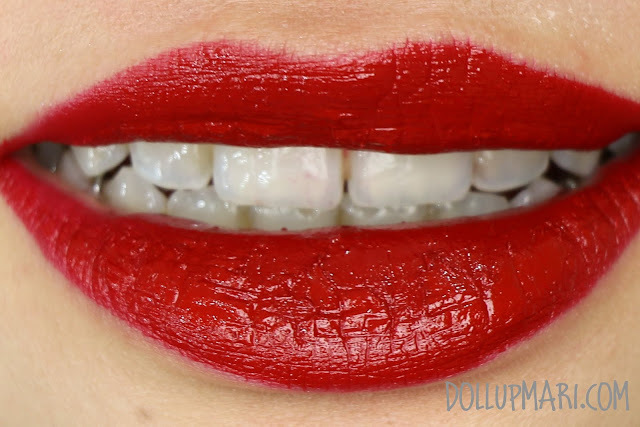 In general red lippies help to whiten the teeth so even if this isn't bluish toned by nature, it lends a bit of help to whitening the teeth. 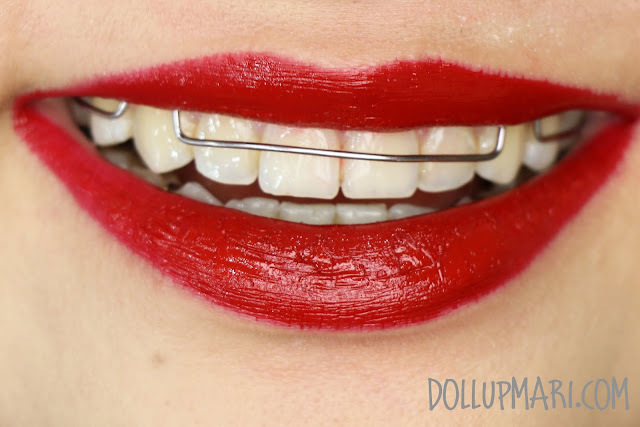 However, if white teeth is your primary concern, there are a lot of bluer ones you can get. And all lip tars have this tendency to stain the teeth so watch out. What I liked the most about this is the finish because it's right in the middle of matte and glossy. I like the fact that there's a shine to it, but that in terms of comfort, it's much more comfortable than the matte lippies out there. Fish eye shot so you can see more of the color. In general, this is an attention grabbing lippie, but probably not as attention grabbing in my personal standards. 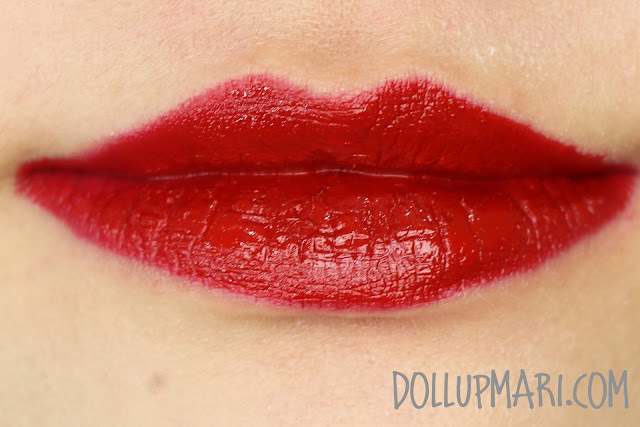 But as with any other red lippie, you're bound to make the lips the focal point on your face by sporting this. 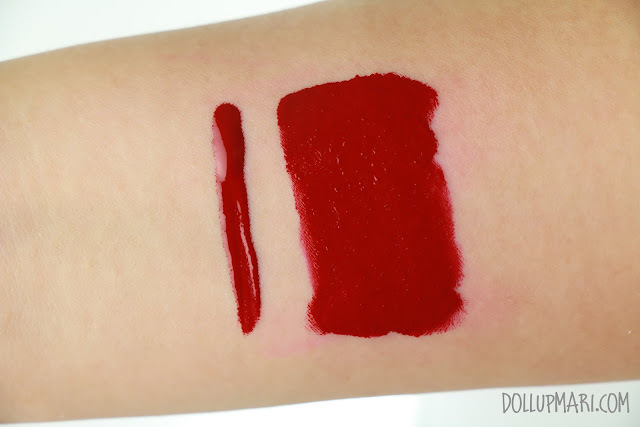 In terms of color, too, what's nice about this is that since it's a true balanced red, you can use this as a standard for your other red lippies. 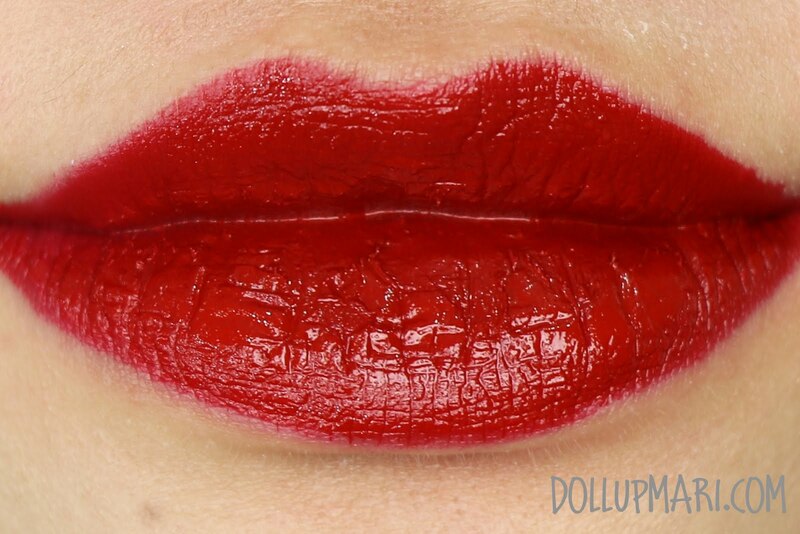 If you have trouble deciding which red lippie is for you or if you have no idea what undertones your other red lippies have, this can be of great help for comparisons. You can try this on, and play with the color by mixing blue, brown, or pink eyeshadows with it until you get the lippie that suits you. 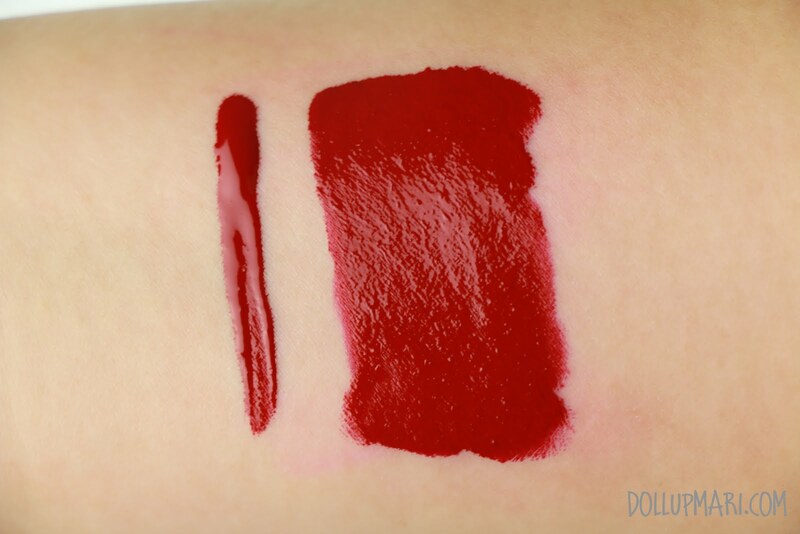 And heck, this is a lip tar, so you can mix it with any other lip tar to get whatever color you want to get. It's a free country, enjoy the freedom kthxbye. 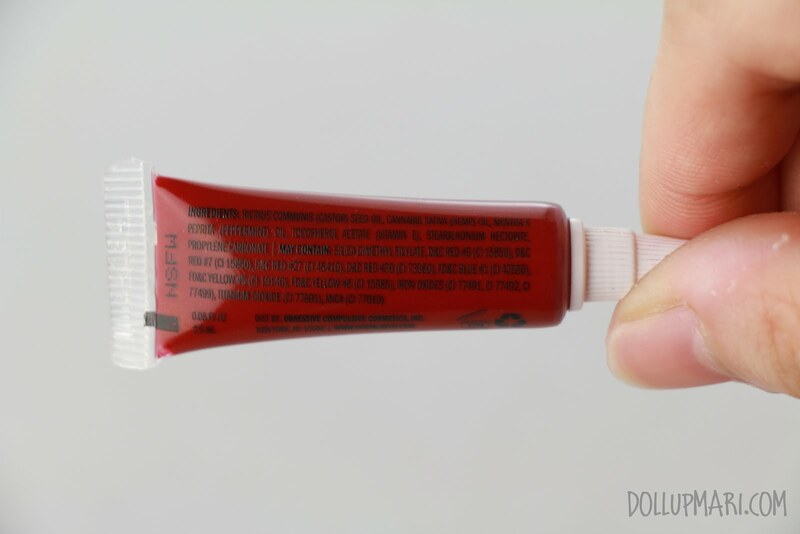 It also leaves quite a stain on the lips, and I thought of putting it here because for some reason a lot of Pinays are sporting tints like these on their lips. I got this from a 4 piece kit for Php1500. 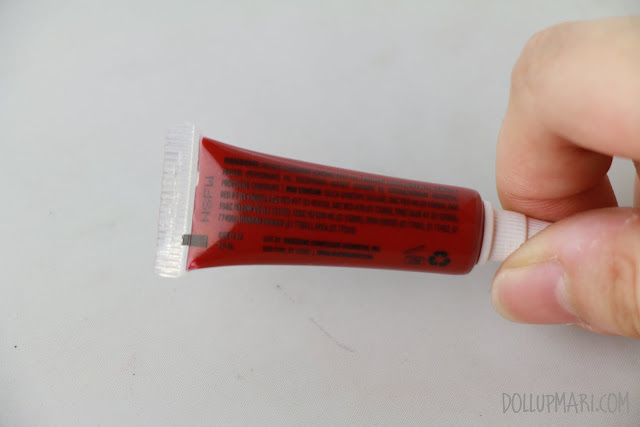 This is mini size and is 2.5 mL versus the real sized ones that are 10mL each, so please do not be shocked if the large tubes are sold at Php800 a tube in most stores. You can get mini ones from Pro Tools Cebu (on IG) at Php500 a pop, I think. And you can also get this from nyxwholesaleph.com at full size at about Php780, if you're willing to wait more than a month or more (they have this habit to just inform you that an item is out of stock once your order has arrived or is arriving in less than 3 days time). In real life, you can also get this at Purebeauty for Php800-900, but they do not have as much shades as the online stores.